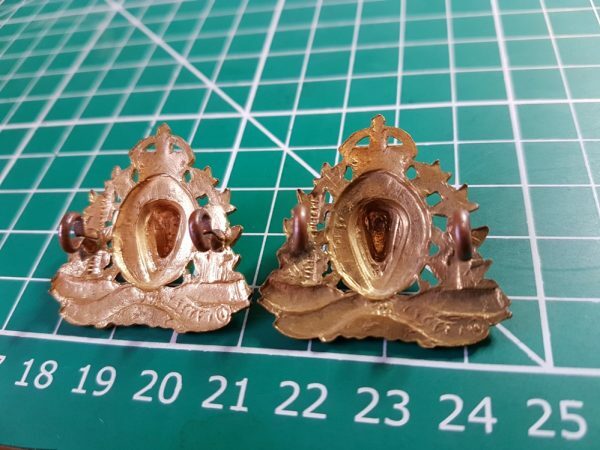 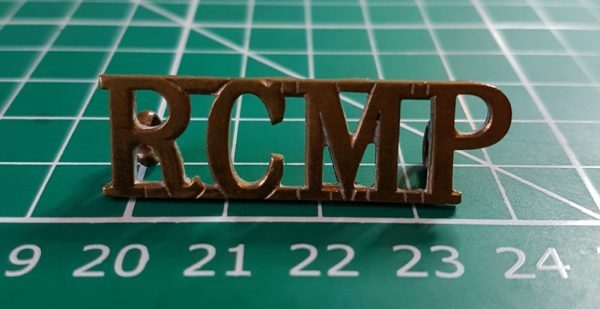 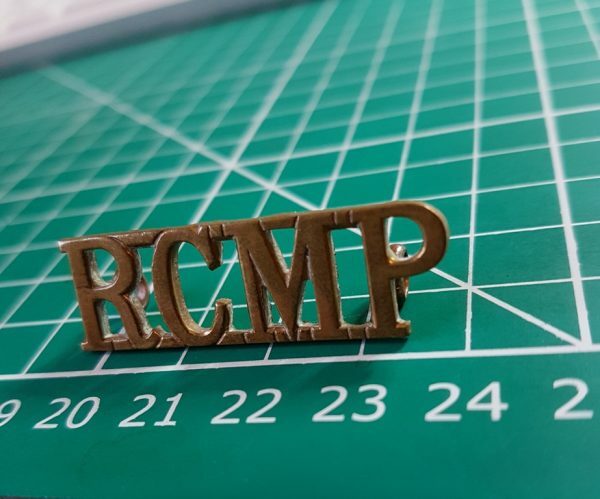 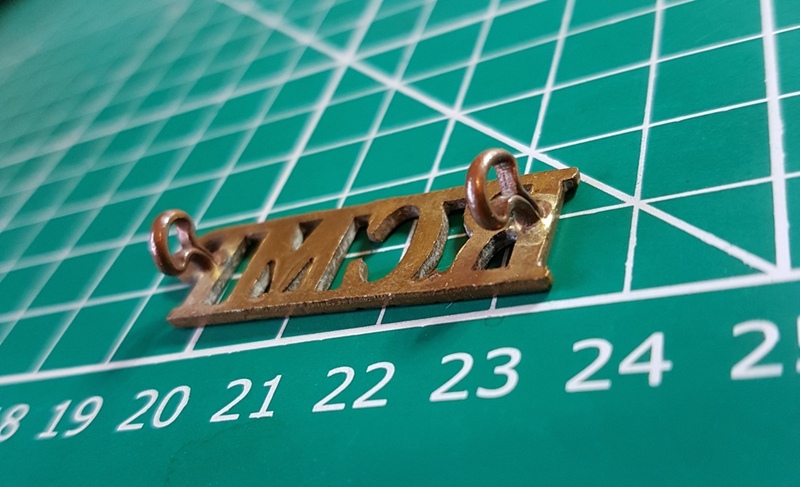 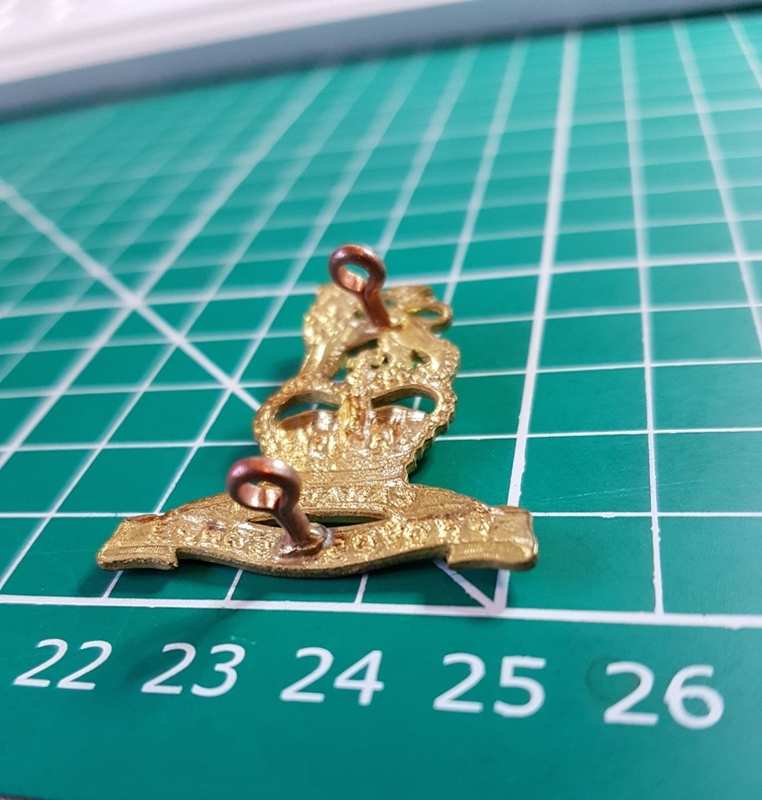 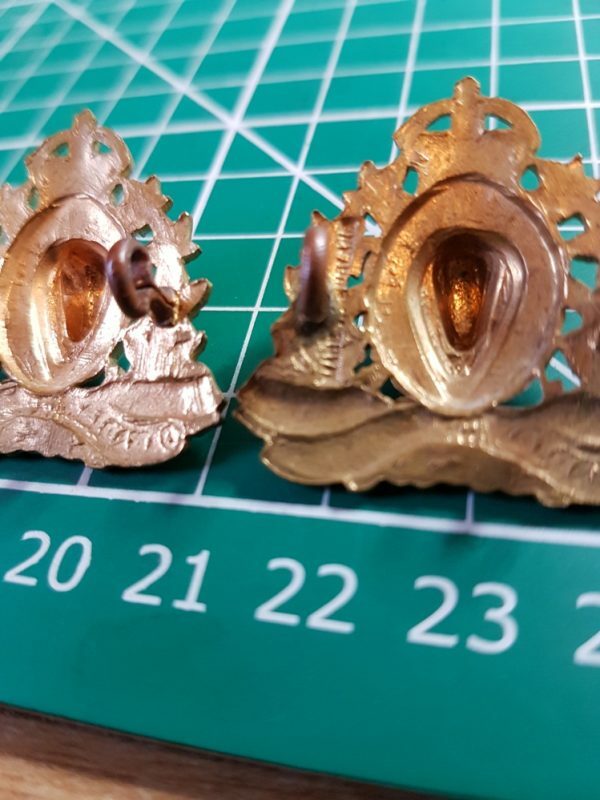 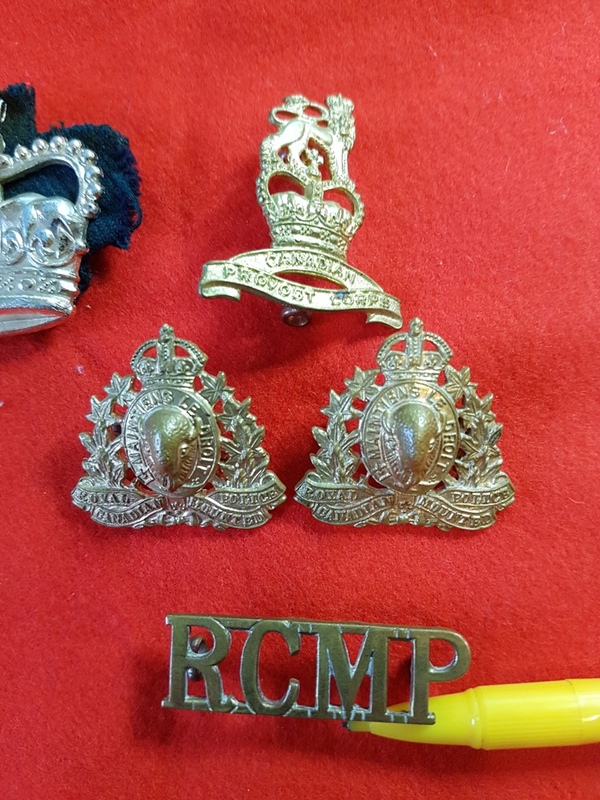 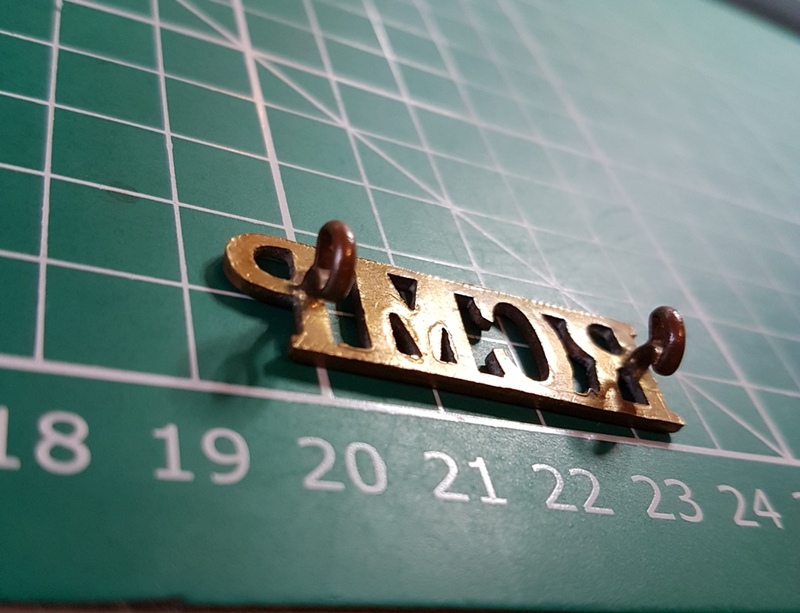 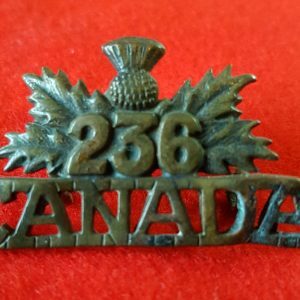 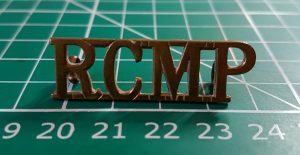 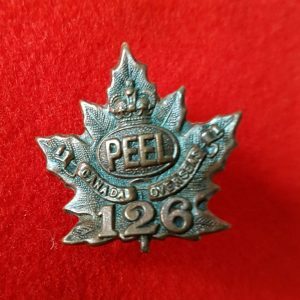 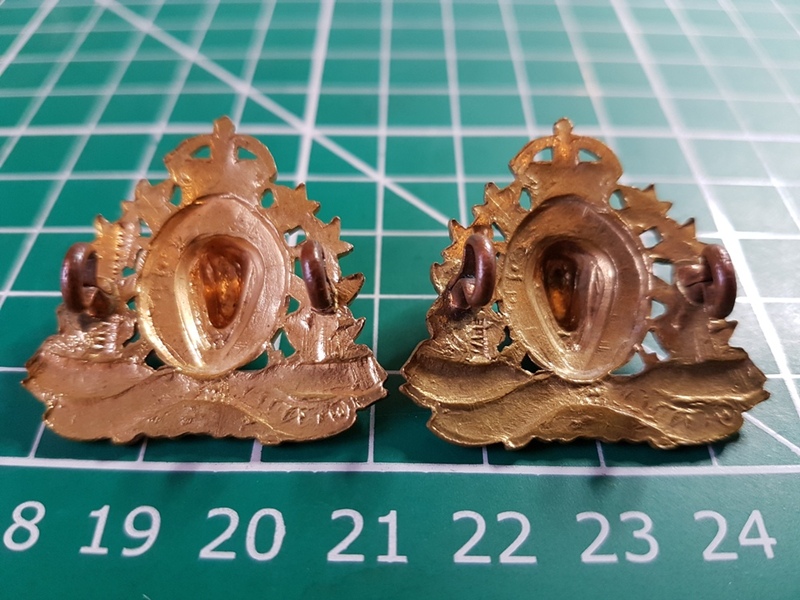 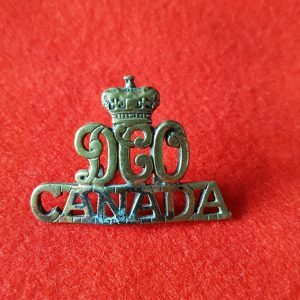 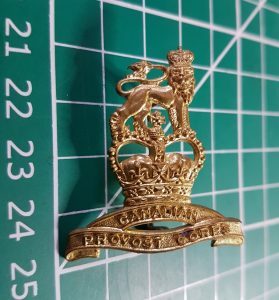 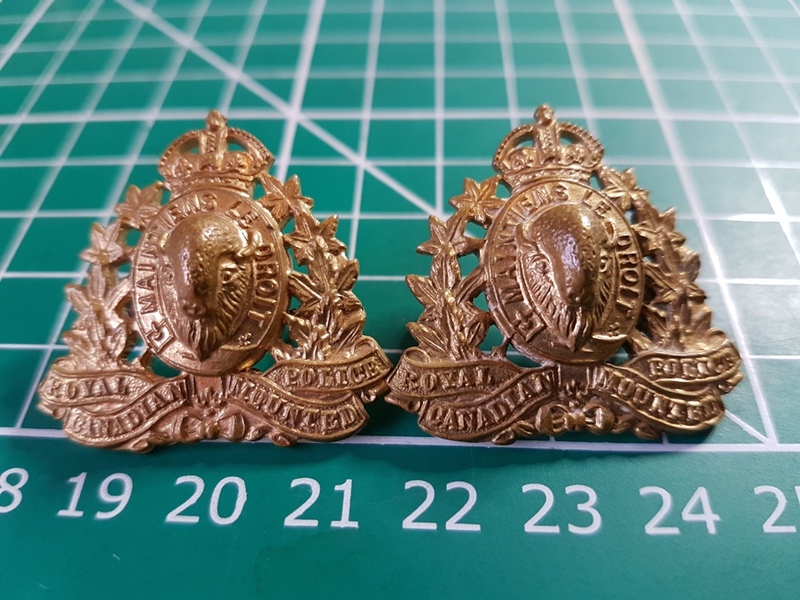 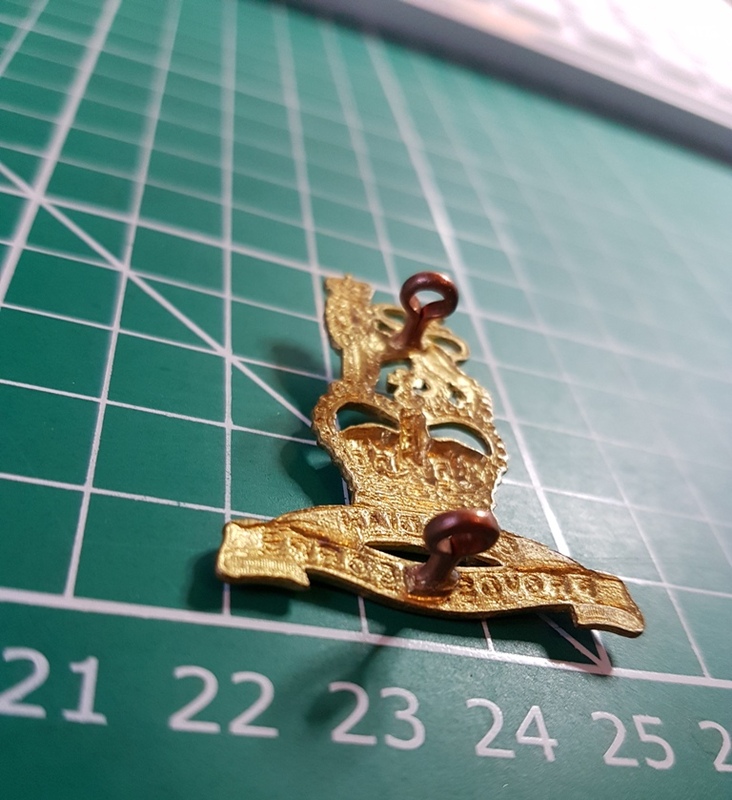 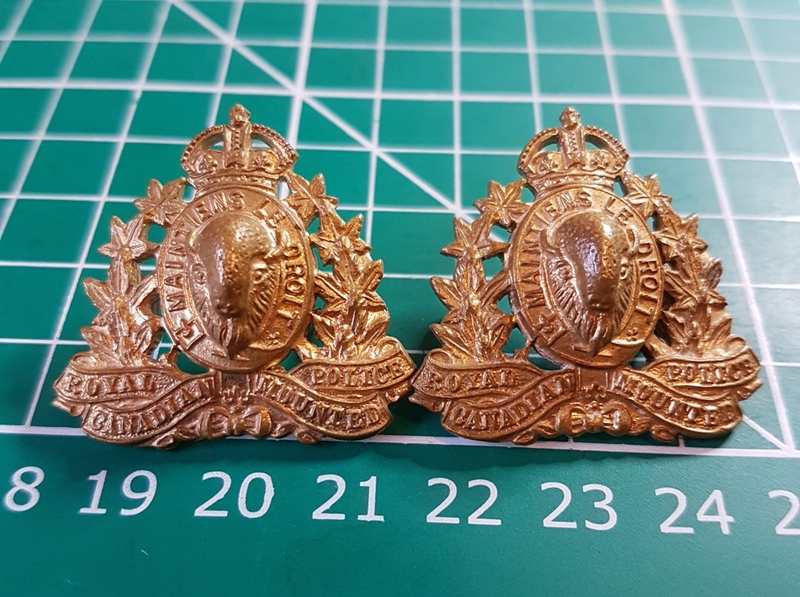 Royal Canadian Mounted Police collar badges with lugs to rear stamped by lugs Made in England, see photos. 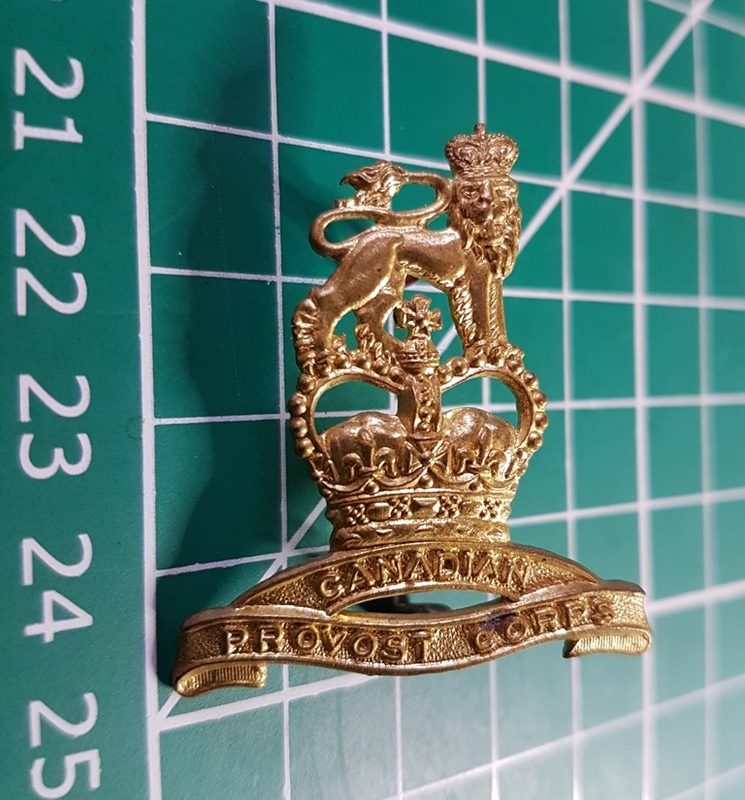 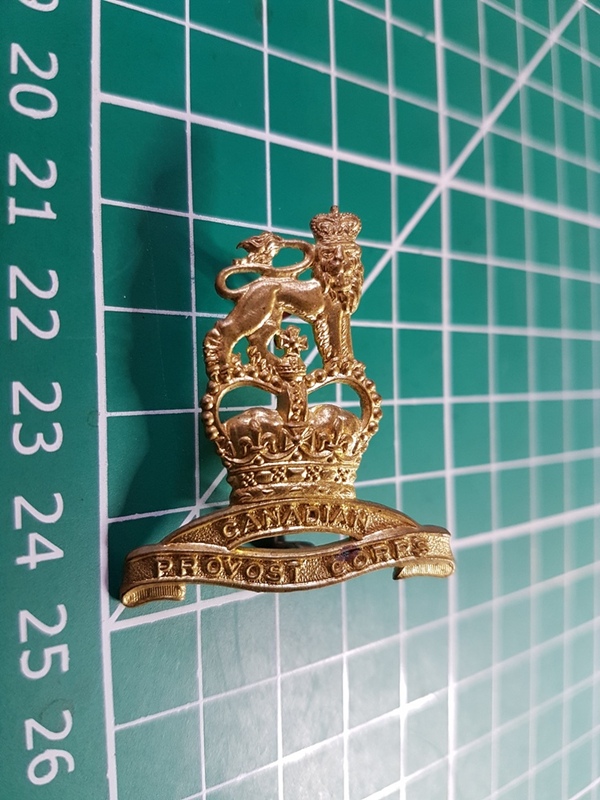 Royal Canadian Provost Corps badge, Queen’s Crown with fixing lugs to rear. 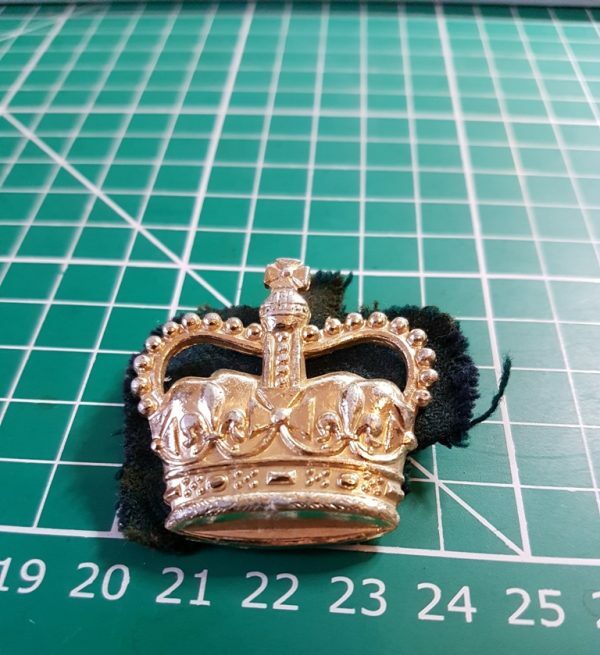 Bonus Queen’s crown with black cloth backing, sold as seen. A pleasing Mounties selection of badges.